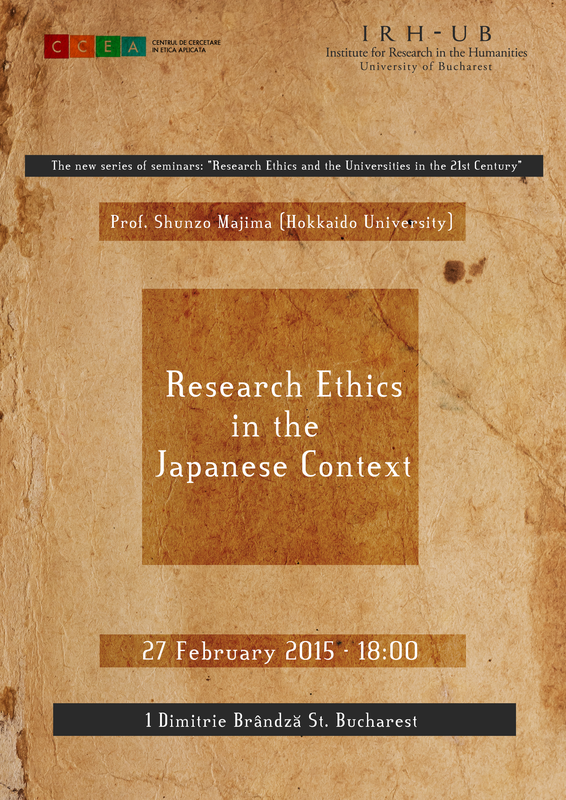 Shunzo Majima, PhD, is an associate professor at the Center for Applied Ethics and Philosophy, Graduate School of Letters, Hokkaido University. His research interests include war/military ethics, professional ethics, and political philosophy. He is currently co-editing a book on research ethics in humanities and social sciences. This entry was posted in Uncategorized on February 19, 2015 by Institute for Research in the Humanities.